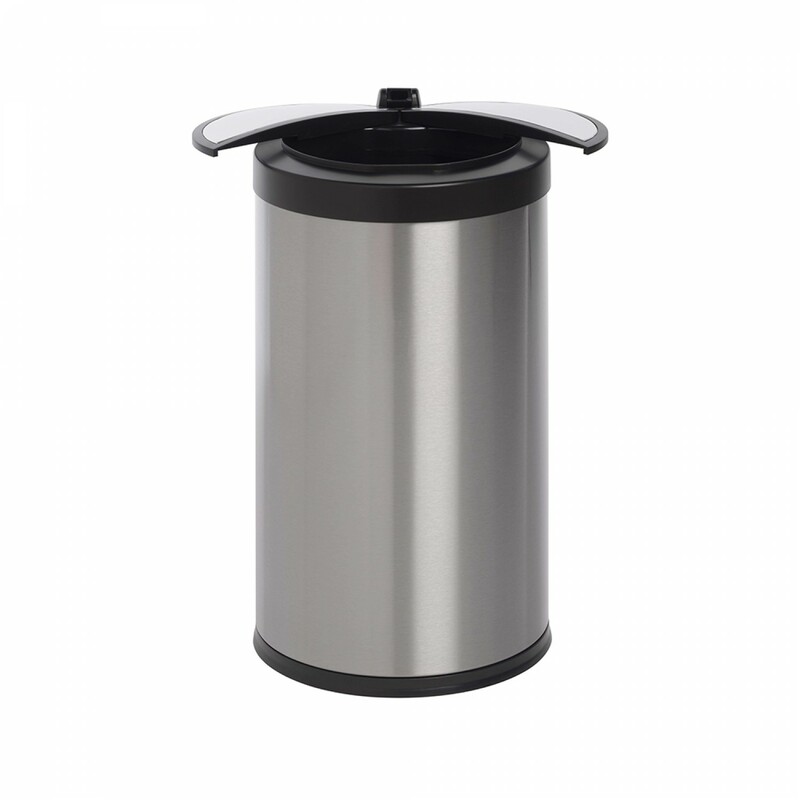 12 LITRE METAL WASTE PAPER BIN - BETTER THAN YOUR AVERAGE BIN! 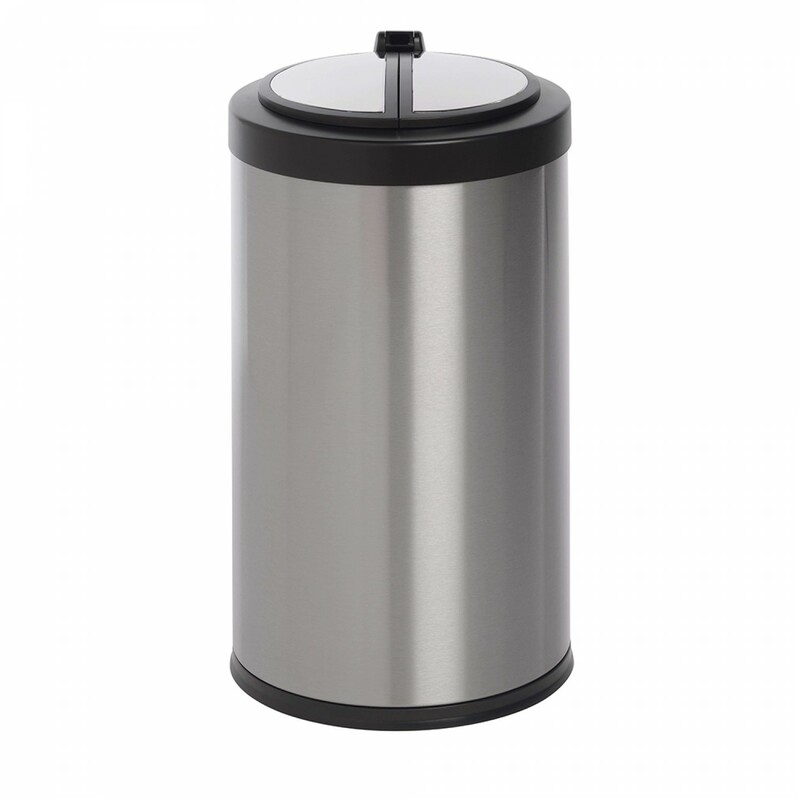 New 2017, 12 Litre metal waste paper bin unique design can fit almost in any tight space, such as under an office table, underneath kitchen worktop, bathroom bin, bedroom, utility or a children’s play room. 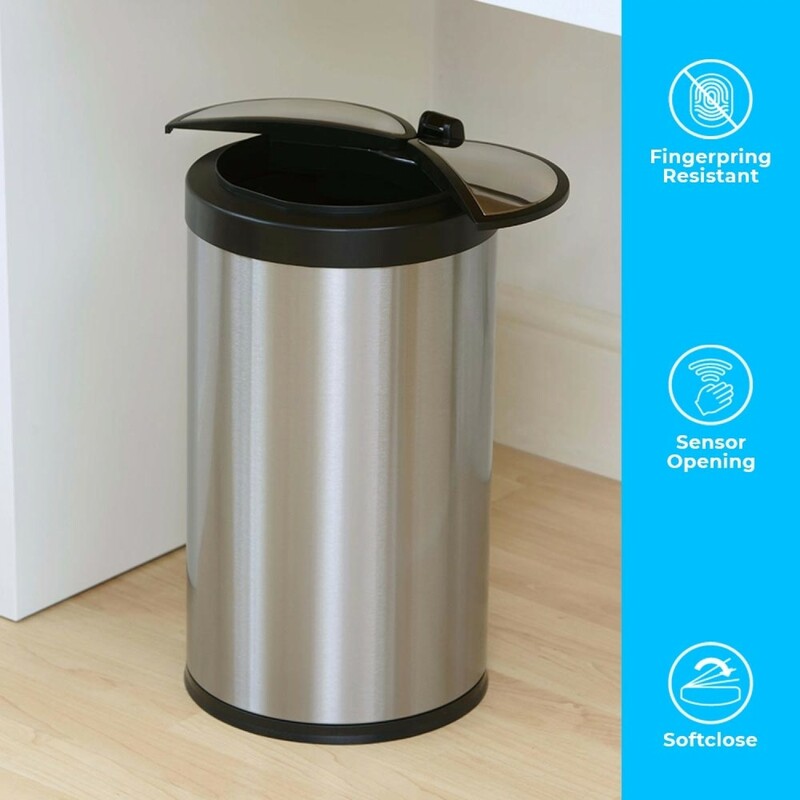 This compact metal waste paper bin also features one of a kind lady bug style lid, that uses the most advance sensor technology found in all our autobin range. Side opening wings, that glides and slides smoothly, automatically! No Hands, No touch no Mess! Based on the popularity of our 50L Ladybird metal waste paper bin, we decided to go a step further and design a mini version to compliment the Ladybird range that could be used as a bathroom bin. A wave of the hand is all it takes to activate the sensor metal waste paper bin, whilst its fingerprint-resistant coating keeps messes where they belong - within. A custom delay sensor keeps the ABS-Plastic dual lid from sliding open at inopportune moments, whilst the unit's patented soft-close system keeps peace and quiet front and centre. And if you're a fan of saving, you'll do plenty thanks to unprecedented battery life that allows for approximately a year's worth of openings and closings. This new model now has a sensor that’s adjustable, hence this can now be positioned in the way you wish to approach the waste bin. On approach the lid opens automatically as it is activated by a motion sensor. When it opens, it opens in two halves – one half left and the other right just like a ladybird opens its wings! Once you have disposed of your rubbish, the lid quietly closes for you automatically keeping germs and odours contained. The touch-free nature of the bathroom bin makes it a popular bathroom bin too. Whether it is for a bedroom, kitchen, home office or anywhere else, it is just the right size – 12 litres. 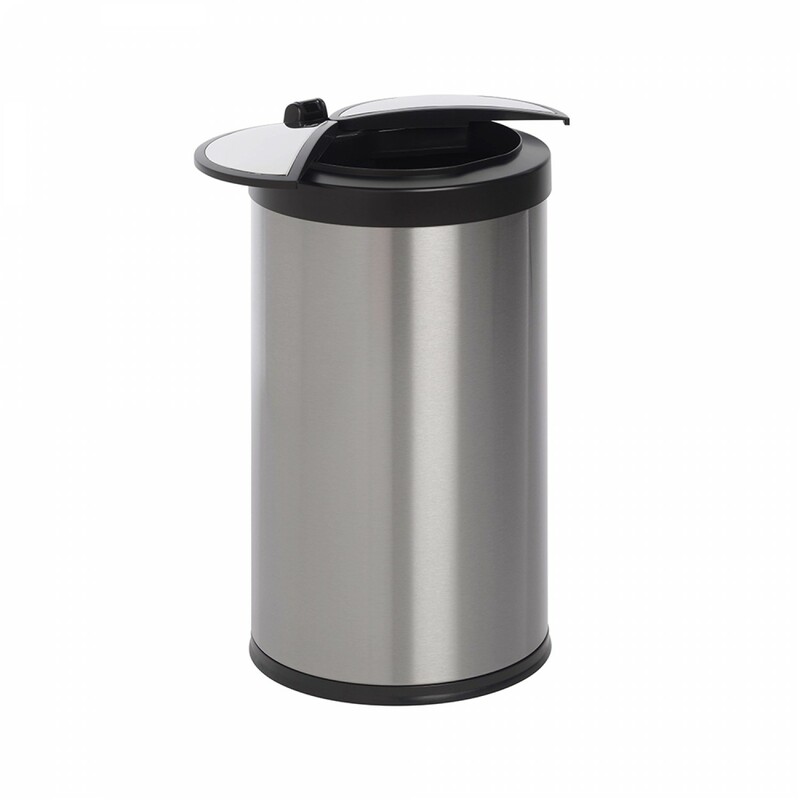 As you would expect from Autobin, the 12 Litre Ladybird is fingerprint proof, Matt finish stainless steel body and ABS plastic head for easy of lifting and cleaning. Inside there is a convenient inner bucket for easy emptying. Seals odour in and eliminates cross-contamination of germs with touch-free operation.